Patents and intellectual property rights are of particular concern to people who have invented something or produced an original piece of work. They are important concerns for preserving the rights of these individuals, although they can impact on the lives of other people as well, as you will see in this comparison article. A patent is the term used for exclusive rights given to an inventor or his assignee for the public disclosure of an invention. 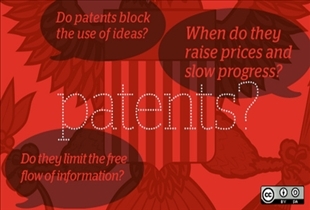 Patents are typically granted by the national government for a limited period. 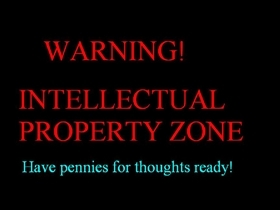 Intellectual property refers to several types of “creations of the mind” that are assigned property rights. The term is also used to refer to related areas of law. The laws governing intellectual property provide exclusive rights to owners of musical, literary, and artistic works as well as other intangible assets. Intellectual property may also apply to discoveries, inventions, words, phrases, symbols, and designs. There are many different varieties of patents, and they can be granted to anyone who is the inventor or the discoverer of a new and/or useful process, machine, manufacturing process, or form of matter. Patents may also be granted to individuals or organizations that make useful improvements to any of the above. Some of the more common types of patents are those granted for biological, business method, chemical and software inventions or discoveries. There is a bit of overlap between patents and intellectual property in that some intellectual property rights are referred to as patents in some legal jurisdictions, although they may fall under industrial design rights in others. Plant breeders may also be granted plant patents, while inventors of utility models may be granted petty or innovation patents. In some countries, monarchs may also grant letter patents, which essentially serve as government notices of exclusive rights to ownership. These patents are essentially monopolies and were the precursor to the modern patent system. Land patents were also granted by state governments in the United States during the early years of establishment. These patents reflected the broader scope of the letters patents that we know of today. Some of the more common forms of intellectual property are copyrights, trademarks, rights for industrial designs, and patents. In some cases, trade secrets may also qualify as intellectual property. The main difference between a patent and intellectual property is that the latter is a much broader term that the creation and expression of ideas, whether they are actual inventions or they are expressive ideas. A patent on the other hand is a means to protect the intellectual property of inventions.